Round 2 of the 2018 NB Senior Men’s & Mid Master Championship Presented by Audi Moncton began with the Senior & Super-Senior teeing off of holes 1 and 10 at 8:00 am. 2017 NB Senior Men’s Champion Wilf Pilgrim of Kingswood would lead the field off of the 1st tee along with Kevin Farmer of Herring Cove and Jim Haddad of Maplewood. For a second consecutive round the players were faced to deal with strong wind conditions as they set out to put themselves in contention for the third and final round. In the Senior Division, Moncton’s Eric Haley entered round two sitting four strokes off the lead thanks to his great play in today’s difficult conditions he will be leading tomorrow’s final group. Haley’s second round 3-under par 69 was Tuesday’s low round which was comprised of 6 birdies, 1 eagle, 7 pars, 3 bogeys and 1 double. Joining Haley in the final pairing on Wednesday is Hampton’s Mike Breen and St. Quentin’s Denis Beaulieu who are both tied for second place after the duo both recorded first round even-par 72’s and second round 2-over par 74’s. 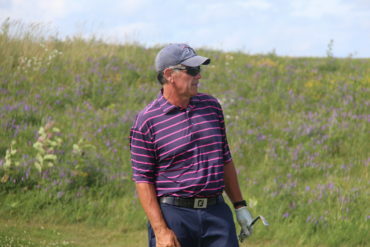 Fox Creek’s Jean Leblanc, Guy MacKnight of Country Meadows and Fredericton’s Sonny Phillips are all tied for the lead in the Super-Senior Division, the trio are all entering Wednesday’s round sitting on top of the leaderboard at 11-over par. Sonny’s round of 76, 4-over par in today’s tough conditions was enough to move him into the final Super-Senior group for tomorrow. He will be competing against LeBlanc and MacKnight for the Super-Senior Championship in what can be assumed to be a true test of skill and course knowledge with more links like conditions expected. 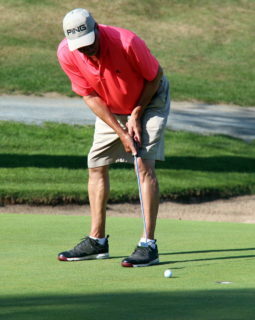 2017 NB Super-Senior Champion Herrick Hansen of Aroostook Valley is currently sitting in a three-way tie for fourth place alongside Bernard Leger of Royal Oaks and Gilles Masse as he looks to battle back and claim his second consecutive Super-Senior Championship. 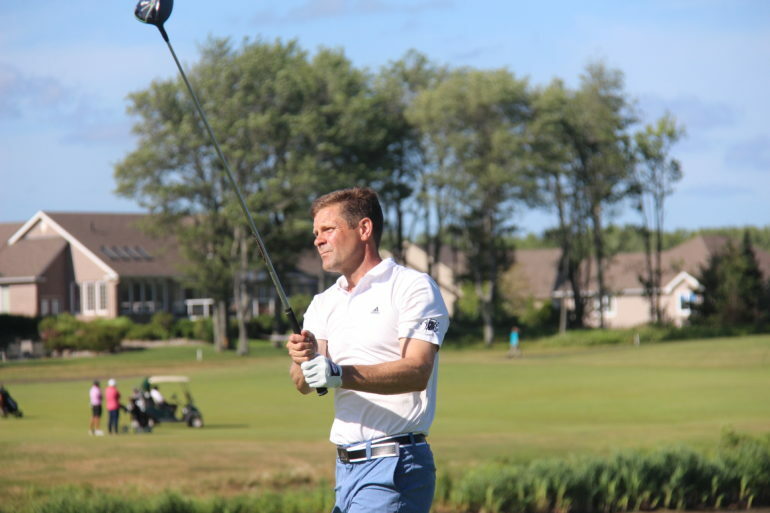 The Riverside Country Club’s Edward Reevey enters the final round of the 2018 NB Mid-Master Championship Presented by Audi Moncton looking to capture the championship for the fourth consecutive year. Reevey started round 2 at 1-under par before complimenting it a second-round score of 1-over par 73 on a difficult windy day at Royal Oaks. Joining Reevey in the final round is three time NB Mid-Master Champion Tony MacKinnon of Fredericton Golf Club. MacKinnon’s even par performance on Tuesday was an exchange of pars, bogeys and birdies as the 2009, 2012 and 2014 NB Mid-Master Champion made a final push into contention for the 2018 Championship. Rounding out the final group is Edumundston’s Darren MacPherson who recorded a 3-over par 75 on Tuesday to add to his previous 4-over par 76 during round one. Darren sits 7 shots behind the leader Reevey and 2 behind MacKinnon as the three look ahead to the final round and the chance to represent New Brunswick at the 2018 Canadian Mid-Amateur Championships as the final member of the Willingdon Cup Team. The third and final round of the 2018 NB Senior Men’s and Mid-Master Championship Presented by Audi Moncton will begin at 8:00am Wednesday morning with the Mid-Masters teeing off of hole #1 & #10. The first pairing of the day includes Lawrence Justason of St. George, Mike Bourque of Moncton and Ken Barter of Petitcodiac off of hole #1. Up for grabs on Wednesday are three spots along with a first alternate position on Team NB which will represent New Brunswick at the 2018 Canadian Senior Championships from September 4th-7th at Gowan Brae Golf & Country Club. This will be the fifth time that Gowan Brae has hosted a national championship event. In the past, it has hosted the Junior Girls National Championship twice, in 1992 & 2006, the Mid-Amateur National Championship in 1998, and the National Ladies Team Club Championship in 1996. The third and final position on the Mid-Amateur Team NB, along with the first alternate position, will be awarded at the 2018 NB Mid-Master Championships Presented by Audi Moncton. 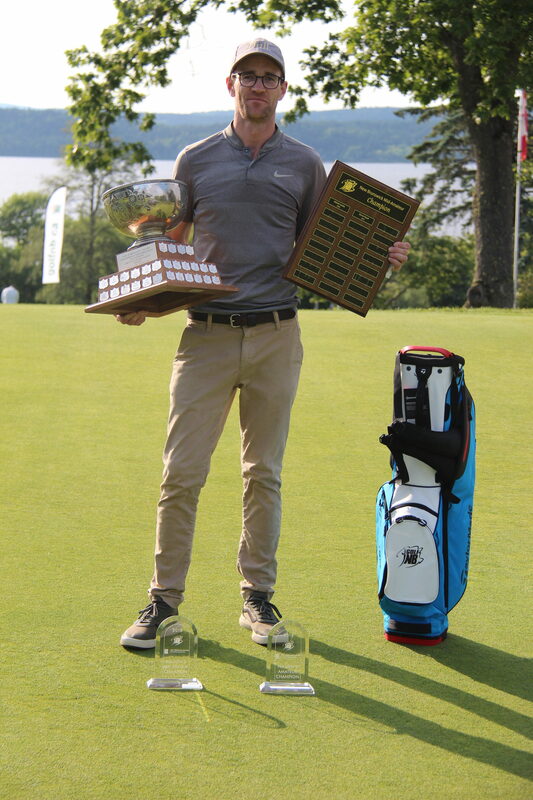 The final team member will be joining the Willingdon Cup Team alongside Alex Palmer of The Riverside Country Club and Ryan Allaby of Hampton who will represent the province at the 2018 Canadian Men’s Mid-Amateur Championship, to be held from August 21 to 24, 2018 at the Victoria Golf Club in Victoria, British Columbia. For more information on the 2018 NB Men`s Senior & Mid-Master Championship Presented by Audi Moncton including results and tee times, please CLICK HERE. For more information on the Royal Oaks Golf Course please CLICK HERE. Golf New Brunswick (Golf NB), a not for profit organization founded in 1934, is the official governing body for amateur golf in New Brunswick. In January of 2006, the New Brunswick Golf Association (NBGA) officially merged with the New Brunswick Ladies Golf Association (NBLGA), resulting in one united governing body for amateur golf in the province. Programs offered by Golf NB to its 10,000 members include: 12 provincial events, rules of golf education, course rating and handicap services, junior golf development programs and member club marketing initiatives.